Geyser basins provide high value recreation, scientific, economic and national heritage benefits. Geysers are globally rare, in part, because development activities have quenched about 260 of the natural endowment. Today, more than half of the world’s remaining geysers are located in Yellowstone National Park, northwest Wyoming, USA. However, the hydrothermal reservoirs that supply Yellowstone’s geysers extend well beyond the Park borders, and onto two “Known Geothermal Resource Areas”—Island Park to the west and Corwin Springs on the north. Geysers are sensitive geologic features that are easily quenched by nearby geothermal wells. Therefore, the potential for geothermal energy development adjacent to Yellowstone poses a threat to the sustainability of about 500 geysers and 10,000 hydrothermal features. The purpose here is to propose that Yellowstone be protected by a “Geyser Protection Area” (GPA) extending in a 120-km radius from Old Faithful Geyser. The GPA concept would prohibit geothermal and large-scale groundwater wells, and thereby protect the water and heat supply of the hydrothermal reservoirs that support Yellowstone’s geyser basins and important hot springs. Proactive federal leadership, including buyouts of private groundwater development rights, can assist in navigating the GPA through the greater Yellowstone area’s “wicked” public policy environment. 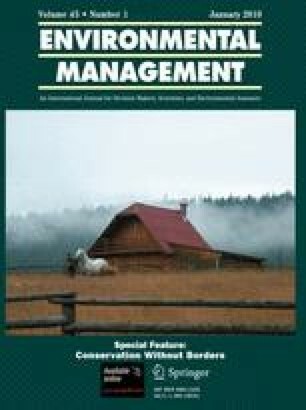 Moreover, the potential impacts on geyser basins from intrusive research sampling techniques are considered in order to facilitate the updating of national park research regulations to a precautionary standard. The GPA model can provide the basis for protecting the world’s few remaining geyser basins. I would like to thank the anonymous reviewers and the editor for helpful suggestions that greatly improved the manuscript. The research was not supported or funded by any interest group or government agency.